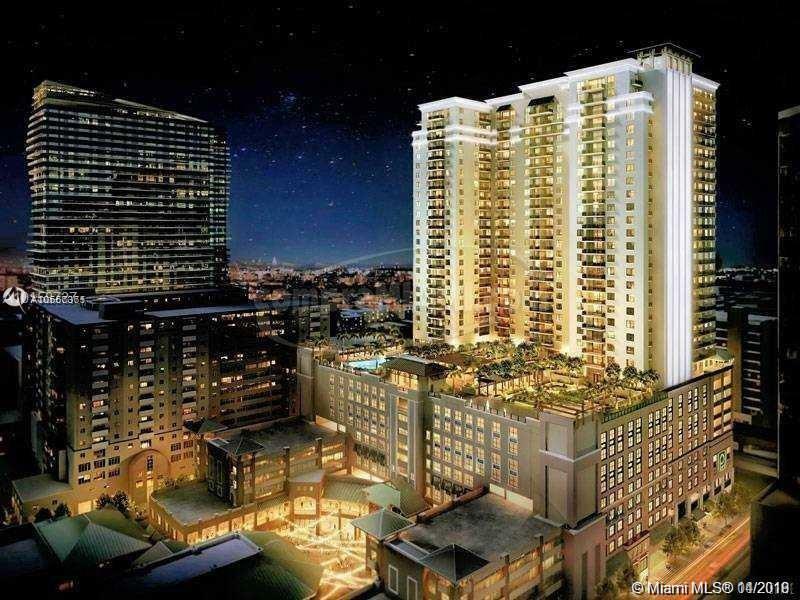 Live in the largest 1 bedroom layout at the luxurious Nine at Mary Brickell Village. Spectacular sunset, ocean, and city views from your balcony. Beautiful light grey tile throughout, white quartz countertops and backsplashes, stainless steel appliances, full sized washer/dryer, designer fixtures and hardware, spacious walk-in closet with built-in shelving, and large soaking tub with shower. The building amenities include a state-of-the-art fitness center, resort-style swimming pool, club room, BBQ area, concierge, and complimentary Wi-Fi in all indoor and outdoor amenity spaces. The Nine is situated above a Publix supermarket, LA Fitness, shops and dining, itâs the most central building in Brickell, 1 block away from the new Brickell City Center. Sorry, no pets per association. Directions: Entrance Is On The Corner Of SW 1st Ave And SW 10th St.